Do your nails lack the natural sheen? Do they grow slower than average? 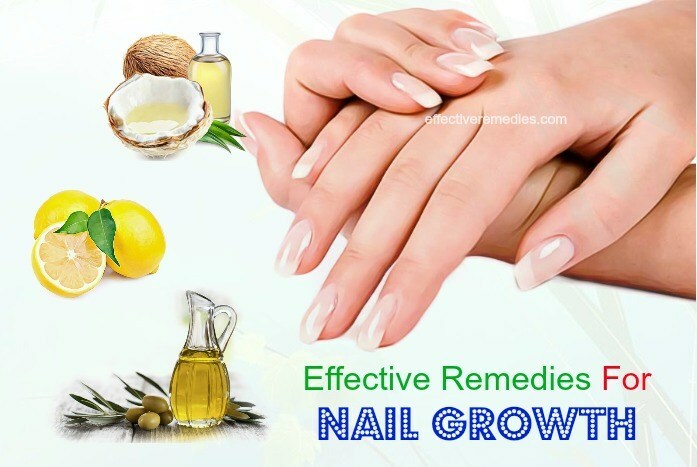 How to grow nails faster? As we know, everybody wants their nails to grow quickly and strongly because they aid beauty to the hands. Apart from that, healthy nail growth will reflect the state of the overall health. There are lots of easy ways to aid your nails in growing faster. 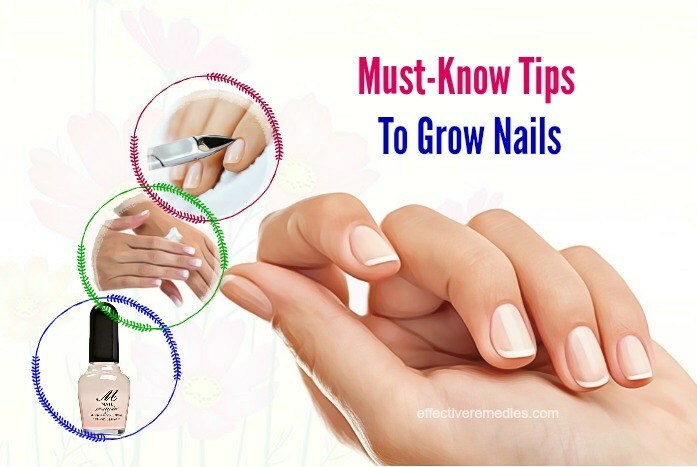 Here are some of the best tips on how to grow nails fast at home in one week. Continue reading to know more! Do Keep Your Nails Clean And Dry: This helps to prevent fungi, bacteria, and other organisms from growing under your nails. When cleaning, using harsh chemicals or washing dishes, wear cotton-lined rubber gloves and stay away from long soaks in the tub. Do Use Moisturizer: Once you apply hand lotion, rub this lotion into your nails and cuticles, too. Do Trim And File Your Nails Regularly: You use sharp manicure clippers or scissors. Trim the nails straight across and round the tips in a gentle curve. It’s advisable to trim and file your nails when they are soft. Do Consume A Well-Balanced Diet: Eating plenty of protein will help you attain healthy and strong nails because your nails are mainly made out of protein. Eat lean poultry, beef and pork, fish, spinach and other vegetables since they are rich in protein. Don’t Bite The Nails Or Pick At The Cuticles: This habit can damage your nail bed. A minor cut alongside the nails can allow fungi or bacteria to enter and lead to an infection. Don’t Abuse Your Nails: Don’t use your nails as tools to poke, pick or pry things to prevent nail damage. Don’t Ignore Problems: If you suffer from a nail problem, consult a dermatologist or doctor for an evaluation. 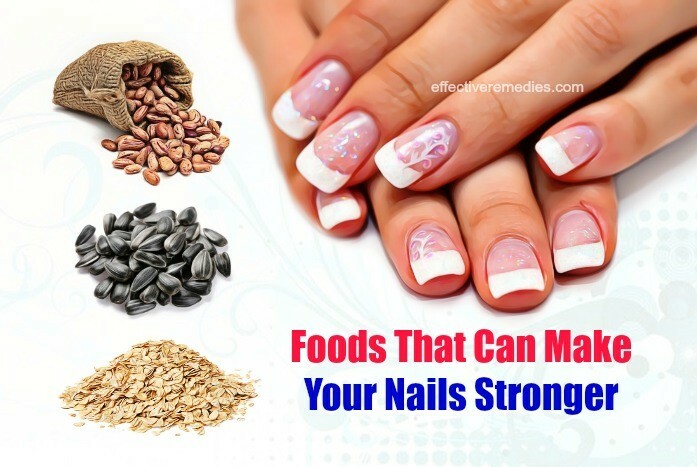 If you want shiny and healthy nails, here are foods you should add to your diet. Eggs: Eggs are rich in protein that can make the bones in the body, hair, and nails much stronger. Besides, eggs are packed with biotin and vitamins D and B12. Biotin helps to strengthen the nails and make them less brittle. Oats: Minerals such as zinc and copper are vital for maintaining nails and bone. These minerals can be found in oatmeal. Salmon: Salmon comes with nutrients that make the nails and bones strong. Along with that, salmon is chock-full of vitamin D that is important for the growth of bones. Beans: Beans helps in the growth of nails because it’s high in biotin. So, it’s best to incorporate beans into your regular diet. Sunflower Seeds: Sunflower seeds are loaded with nutrients. These seeds also comprise minerals such as manganese and copper that can promote the production of connective tissues in the cartilage and bones. 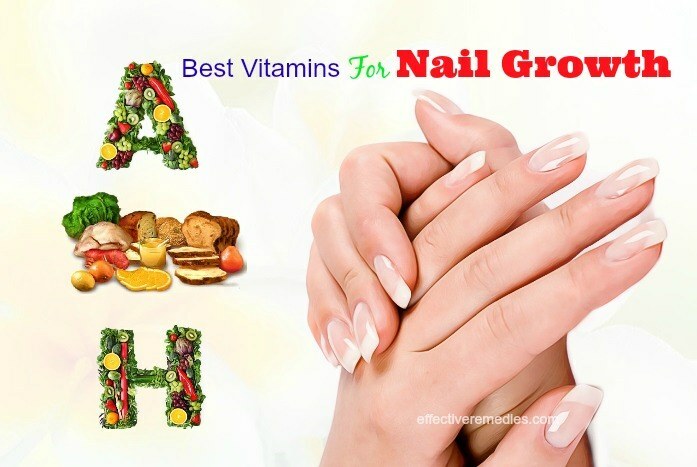 Below is a list of vitamins, which can facilitate the growth of the nails. Let’s check out! Vitamin B9 Or Folic Acid: Folic acid or vitamin B9 is crucial for cell growth including the growth of nails. You can obtain folic acid from foods such as eggs, leafy greens, beets, and citrus fruits. A person must consume about 400 to 500 mcg of folic acid to ensure and encourage healthy nail growth. Vitamin C: Vitamin C is vital for the production of collagen that helps to give strength to the nails. A vitamin C deficiency can lead to brittle nails and slowed nail growth. This vitamin can be found in citrus fruits (limes, oranges, and lemons), blueberries, strawberries, tomatoes, and leafy greens. Vitamin H (Biotin): This vitamin can helps in the growth of hair, skin, and nails. You can consume it in the supplement form or through foods. It can be found in foods such as salmon, avocado, and bananas. Vitamin A: This vitamin is important for promoting the tissues, teeth, nails, and bones. It is also rich in antioxidants that help rid your body of toxins. Vitamin A can be found in foods such as spinach, grapefruit, yams, and apples. Non-vegan and meat options such as liver, milk, and eggs are also high in vitamin A.
Caring for your nails and eating the right foods can make the enormous difference. Follow these ways to make your nails grow faster. It is best to apply moisturizer to your nails and hands. Applying moisturizer can be beneficial for protecting the nails from dryness, which can help them to grow longer and stronger. Plus, it may assist in encouraging healthy nail growth. Try applying a moisturizer to your nails and hands several times a day or anytime the hands feel dry. When using the lotion on your hands, you need to massage it over your nails and into your cuticles. Apply a thick, creamy lotion. Apply lotion after washing your hands because soap can eliminate natural protective oils from the nails and make them more prone to breakage. Biotin is a vital type of B vitamin that helps promote the strength of nails and hair. According to some human studies, taking a biotin supplement every day can be perfect for strengthening nails. Brewer’s yeast, cooked eggs, sardines, whole grains, nuts and nut butters, cauliflower, bananas, mushrooms, and soy and other beans are some of the best foods rich in biotin. Generally speaking, nail softness makes your nails more vulnerable to breaking. Instead of using it, it is recommended to use nail hardeners to help prevent the nails from breaking. The nail hardeners can strengthen the nails and inhibit breakage in the short-term. But, experts say using nail hardeners for the long-term can cause nails more prone to breakage and to become weaker. Using glue-on artificial nails regularly can make real nails weak and more vulnerable to breaking. The better choice is using nail polishes to paint your nails that have no or little toxic chemicals including toluene, formaldehyde, and dibutyl phthalate (DBP). Search for the water-based formulations which show they are toxin-free. A few popular nontoxic nail polish brands are Suncoat and Acquarella. As we know, nails are made primarily of a protein named keratin. You can promote nail growth by including more protein in your diet. A protein deficiency can lead to white spots on the nails and weaken them. Eat beef, eggs, pork, fish, and lean poultry to increase your intake of protein. Green vegetables, spinach, seeds, nuts, and legumes also contain protein and these are a good choice for vegetarians. Alternatively, you can add some protein powder to one glass of milk or consume protein shakes. Before taking any protein supplement, consult your doctor. The cuticle is the most vital part of your nails, as it helps to guard against infection. Cuticle damage such as pushing it back or cutting it without softening first) may damage your nails that in turn make the nails grow less quickly. So, you need to soak your nails in warm water with come soap to soften them. Then, push them back by using an orange tipped cuticle pusher. Massage your cuticles to keep healthy blood flow in the area. Avoid cutting your cuticles because this can cause bleeding and nail infections. Detergents and other cleaners are not the only chemical products the nails are exposed to. Shampoos and soaps are also made with chemicals such as sodium lauryl sulfate, parabens, and phthalates. They are designed to eliminate oils from your hands and scalp, so they can also dry out the nails, leaving them brittle. Instead of using these products, you opt for organic, natural alternatives. If your nails are prone to breaking, protecting your nails when they grow is important. It’s advised to wear a nail strengthening nail polish to help keep your nails strong and inhibit breakage. Also, reapply the nail polish when they grow to take care of the new growth. If there’s sufficient blood flow to your hands, your nails will grow longer and faster. You may have trouble with circulation if you often get cold hands. Exercise is a great method to increase blood circulation. It is best to take a half an hour walk five times per week. Also, drink plenty of water and decrease your intake of salt. Cracked, dry cuticles won’t enhance healthy, long nails. Moisture your cuticles and skin frequently to ensure they are healthy and soft. Avocado oil functions as a great cuticle moisturizer. It’s not overly greasy and light, but it’ll soften the cuticles quickly and keep them healthy. Olive oil can penetrate deep into your nails and skin, thereby helping nourish your nails. 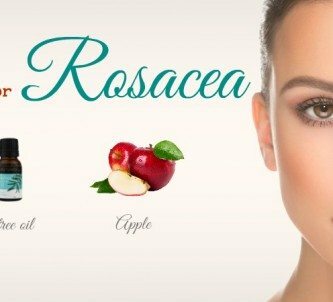 Apart from that, this oil is chock-full of vitamin E, which is beneficial for improving blood circulation, repairing damaged nails and enhancing nail strength and growth. Mix the lemon juice and olive oil to make a nail soak. Slightly heat this mixture in a microwave and after that, soak the nails in it for roughly 10 minutes. For quick results, redo it daily. Take the lemon slice and rub it on your nails for about 5 minutes. Then, use warm water to rinse them and pat dry. After that, apply the moisturizer. Follow this treatment once daily. Lemon is full of antioxidant vitamin C that is useful for protecting your nails, removing stains, and encouraging stronger growth. In addition to this, it is effective for treating yellow nails and giving the nails a nice shine. If you have any hangnail or cut, avoid rubbing lemon on the nails because it may sting. Get some coconut oil and warm it. Use this warm oil to massage your hands and nails every day at night before hitting the bed. It is recommended to massage in a circular motion to improve blood circulation. Just mix all the above elements in a bowl to make a nail soak. Warm the mixture in a microwave for 18-20 seconds and soak the nails in it for about 15-18 minutes afterward. Try this treatment once or twice a week. Coconut oil works wonders in promoting healthy nail growth. It helps to keep your nails strong and moisturized since it consists of important nutrients. It further helps to strengthen your cuticles that play an important role in nail growth. Furthermore, it is excellent for curing hangnails, fungal nails, and cuticle infections. Take a little fresh orange juice and soak your nails in it for a minimum of 10 minutes before rinsing them off with warm water. Pat dry and apply a moisturizer. Repeat this home cure once every day until you’re satisfied with the results. Orange juice is abundant in vitamin C that can help to encourage the collagen production and keep your nails healthy. Also, it possesses folic acid that is necessary for nail growth. Pick up some flaxseed oil and rub it on your nails. Massage gently for several minutes and then, wear gloves for several hours to hold the moisture. Repeat the process once or twice every day. Flaxseed oil is high in omega-3 fatty acids that help to boost nail growth. Along with that, it is filled with micronutrients such as B vitamins, potassium, magnesium, lecithin, protein, and zinc, which are essential for your overall nail health. Apart from that, it can aid in treating nail cracking, drying, splitting or brittleness. Just mix the olive oil and tomato juice in a bowl. Start to soak your nails in the solution for 10 minutes. Reuse it once every day until you attain the desired results. Tomatoes come with vitamins A and C, which are essential for healthy skin and nails. Being high in biotin, they can aid nail growth and make them shiny and thick. Perform a patch test to find out if you’re allergic to the ingredients in these remedies before starting regular treatments. Avoid Household Cleaners: Your nails that are exposed to household cleansers start thinning and drying out, particularly with chemicals such as acetone and formaldehyde. Ensure to put gloves on once using harsh chemicals. Also, avoid nail polish removers containing acetone. Get The Right Minerals & Vitamins: Your nails require the right nutrients to grow strong and long. Vitamin C is essential for the collagen production that your body uses to grow nails. Since your body can not produce this vitamin, it’s vital to take vitamins or foods containing it to avoid deficiency. To combat nail breakage, you can eat more leafy green vegetables, lean red meat, and nuts, which all consist of the important vitamins for nails. Do An At-Home Oil Dip: It is crucial to keep your nails moisturized to grow and strengthen them. Coconut oil and olive oil are the best oils when they come to nail growth because they consist of nutrients to increase blood circulation to your nail and restore damaged nails. You can do an at-home nail dip once a week where you soak your nails in one bowl of oil for more than 10 minutes. To sum up, through this article, you know about how exactly you can grow your nails faster and stronger. So, follow these methods frequently to achieve the desired results. 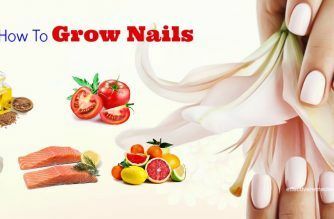 Do you know other ways on how to grow nails fast at home in one week? If yes, share any tip you know with us. All of the contents provided in this article are for informational & educational purposes. We recommend you consult a healthcare professional to determine which method is appropriate for you.